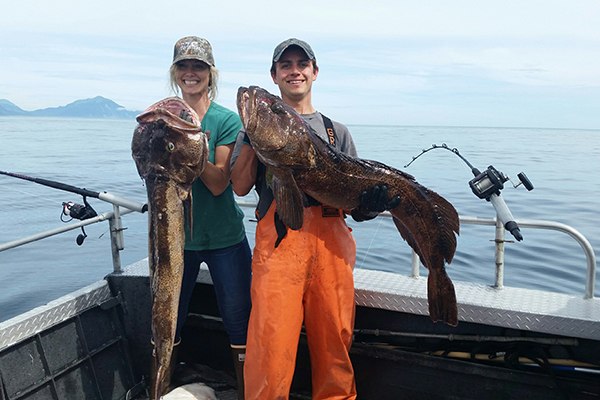 Our Ling Cod fishing is second to none – period! 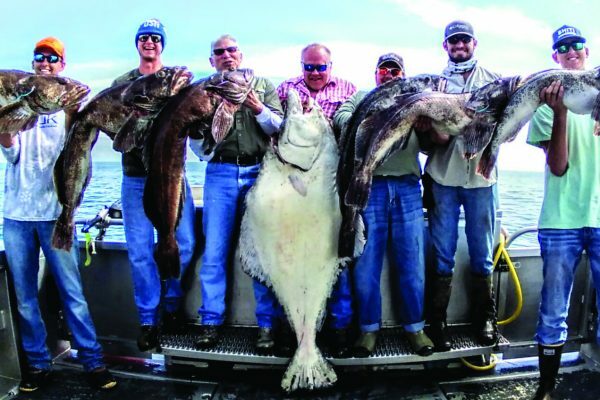 We fish Alaska’s top locations for these brutes. Our crews have landed numerous State of Alaska Trophy Ling Cod Record. We occasionally catch lings on our day trips, but the most successful ling cod fishing is on our long-range overnight charters. The strength of these fish is just amazing! Big Saltwater Lings are found fishing underwater structure, reefs, ledges and pinnacles. We know where they are. 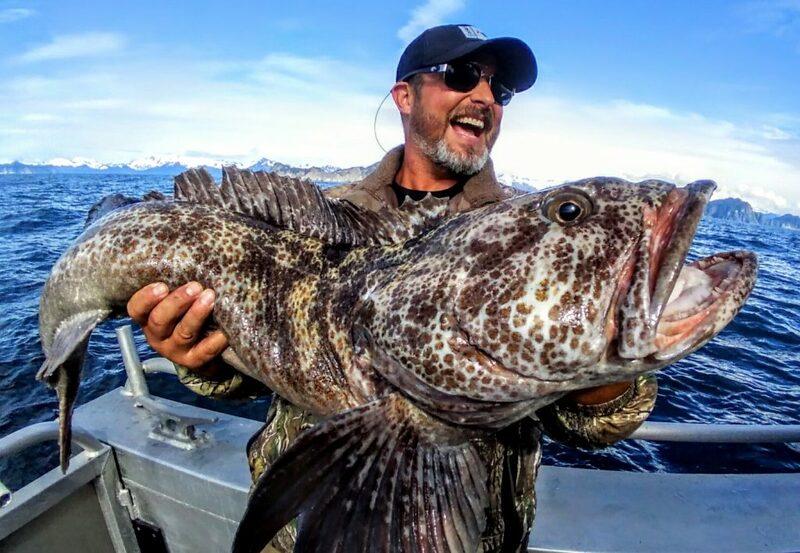 Ling cod season opens each summer on JULY 1st. These Giant Cod are veracious feeders and are as aggressive as a Freshwater Crocodile!! July – August is the ideal time to spank the Lings with our team! The best ling cod fishing with the most Lings per boat per day happens each summer from the first of July Thru August. Mark Davis , Raleigh Werking, and stars from all over the world have joined us for trophy Alaska Ling Cod fishing! As a testament to how terrific our Ling Cod fishing is, consider that at least three major television networks have chartered with us to produce exciting fishing shows featuring this fishery. 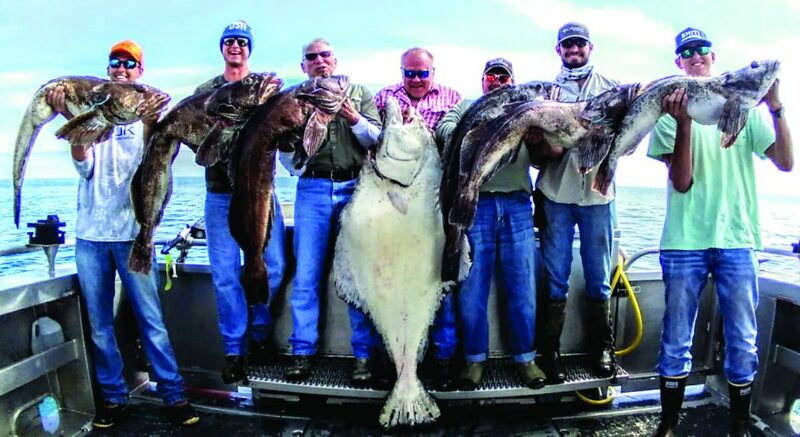 ESPN, The Chevy Outdoorsman Show and The American Outdoorsman have produced shows in the past and recently Mark Davis and his BigWater Adventures crew put together an amazing show based on their ling cod success.